When you are preparing for a memorable night on the town, you need more than just the best limo service in Utah. We know that having fun means something different to everyone. For some, it’s Beethoven and Tchaikovsky at Abravanel Hall which has some of the most finely engineered acoustics in the world. For others, it’s the live music scene and beer. No matter your inclination, you will discover that Salt Lake is bursting at the seams with entertainment and excitement. Spencer’s for Steaks and Chops, located on South West Temple, is Salt Lake City’s original steak house. It features generously cut American and Australian Wagyu Beef steaks. Chef Michael Pleines is known for his ability to pair exotic foods like Wild Boar and Kangaroo to show the versatility of many of Utah’s fantastic wines! Maverick Center on South Decker Lake Drive was famously home to the 2002 Olympic Winter Games Ice Hockey Championship. The 10,000 plus seat arena is not only a great place to catch a sporting event, but also Salt Lake’s premier concert and entertainment venue. Abravanel Hall, Downtown, is the home of the Utah Symphony Orchestra and a true architectural masterpiece. This Salt Lake landmark was commissioned as part of a Bicentennial revitalization project and opened its doors in 1979. The primary design goal was to achieve acoustic excellence, which it is world renowned as having. Utah Cultural Celebration Center, in the West Valley City area, is a gem. It is home to the WorldStage Summer Concert series. Year round it is open to the public and hosts various world class exhibits. It is considered a community-based venue and that shows in the care that is taken with each program. 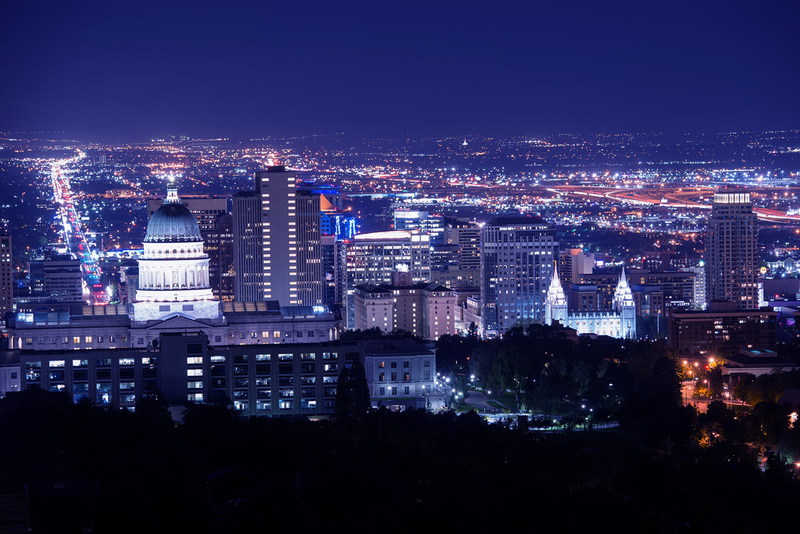 Salt Lake City is a vibrant modern city that is friendly and safe for a great night out on the town, allow Salt Lake City Limo to be your guide. We employ only professional chauffeurs, with profound knowledge of the area. We take pride in the providing only the highest level limo service in Utah. Need to book last minute? No problem. That is our specialty! With Salt Lake City Limo you will experience luxury transportation every time, anytime.